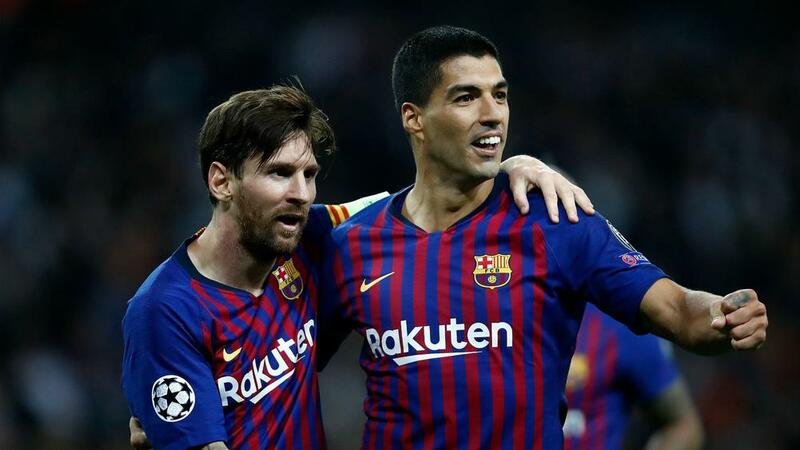 Lionel Messi and Luis Suarez took their combined goal tally to 31 against Eibar on Sunday, meaning no LaLiga side has scored more than the Barcelona duo. Messi moved himself onto 17 with his second-half strike at Camp Nou, the forward making history by becoming the first player to score 400 LaLiga goals. His strike came in between a Suarez double as Barca's South American strikers moved them five points clear of second-placed Atletico Madrid. Suarez's double takes him to 14 for the campaign, giving the pair an impressive total of 31. Of the other 19 LaLiga teams, only Sevilla and Celta Vigo can match that number, with the other 17 all finding the net on fewer occasions than Barca's deadly duo.